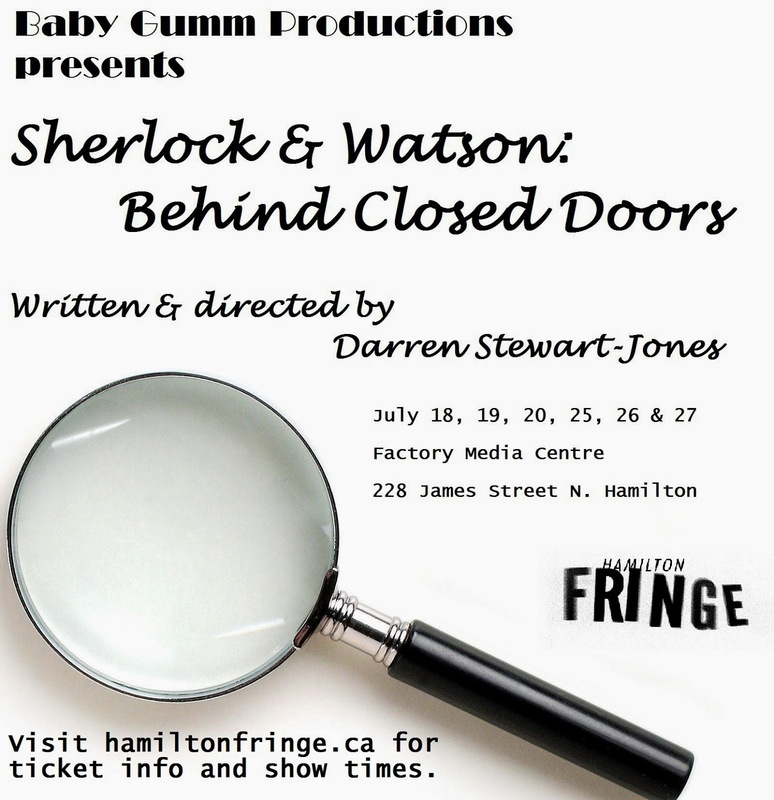 Sherlock & Watson: Behind Closed Doors opens at the 2014 Hamilton Fringe Festival on Friday, July 18. The short play, written and directed by Darren Stewart-Jones, imagines a romantic involvement between the world's greatest detective and his trusted sidekick. The play premiered at the 2013 Gay Play Day LGBTQ theatre festival in Toronto, with Nathaniel Bacon as Sherlock and Nick May as Watson. The Hamilton Fringe version of the show features Mark Keller as Holmes and Louis Adams as Dr. Watson. Both actors are excited to be involved in the Hamilton Fringe Festival for the first time. Sherlock & Watson: Behind Closed Doors runs until July 27 at the Factory Media Centre, 228 James Street North as part of the Gallery mini-Series at Hamilton Fringe. Baby Gumm Productions previously produced The Judy Monologues, starring Elley-Ray Hennessy, at the same venue in last year's festival.